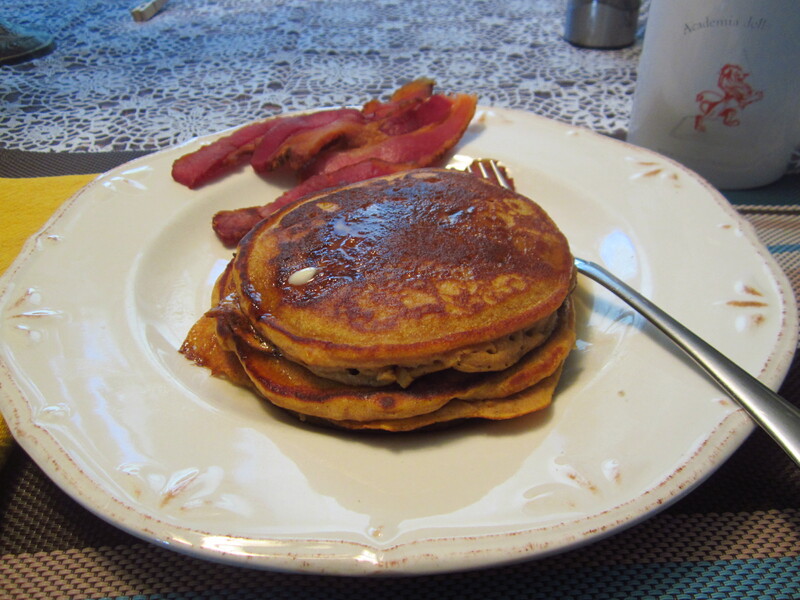 If you have leftover sweet potato casserole from the holidays, this is a great breakfast entree. Mix all ingredients together with a whisk. Pour 1/4 cup at a time onto a hot griddle or pan. When it starts to form small “holes”, it’s time to turn it over for a few minutes. Serve with maple syrup and some pecans.